Value Plus Series insulated garage doors. 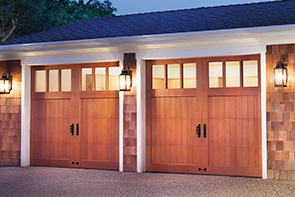 Real wood garage doors, authentic carriage house designs. 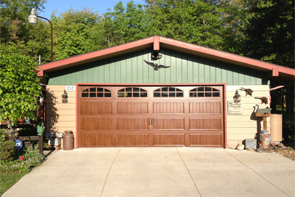 With more than 40 years in the garage door business, we know garage doors. Loyal customers in the Tri-State area call us with their garage door needs, assured that we will handle their problems quickly and efficiently without breaking the budget. Fast service . . . that's us! We consistently work hard to keep our A+ rating by the Better Business Bureau throughout the community of Youngstown. 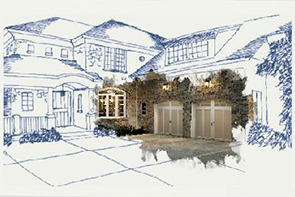 For your convenience our showroom features fully functioning garage doors and openers. Take advantage of the opportunity to touch and feel our beautiful and durable line of Clopay® garage doors and LiftMaster® openers before making that investment. We give free in-home estimates and offer 24 hour emergency service. We welcome the opportunity to repair, install, supply, or answer your garage door questions. Please call 330-792-3776 or visit our contact page to get in touch!